Fast Shot Wheel & Tyre Cleaner 1 Gallon (US) a clinging formula that's an extremely powerful, non-acid wheel cleaner designed to restore and clean and leave virtually all types of wheels bright and shiny.Also good on tyres. Fast Shot is revolutionary because it has a better safety profile compared to Acid wheel cleaners but is still strong enough to loosen and dissolve baked-on dust, grease, oil and dirt. 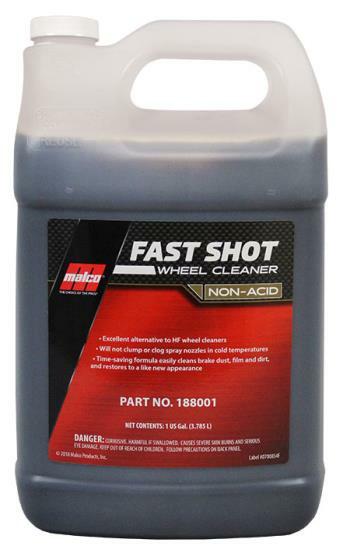 This is not just another wheel cleaner ... Fast Shot is THE best alternative to HF acids.